ORSA 2019 gets off to a flyer as Rangers play host to Dundee at Ibrox Stadium in Glasgow - you don't miss a kick of the ball with the Paddington Pub in Parnell showing the game live! 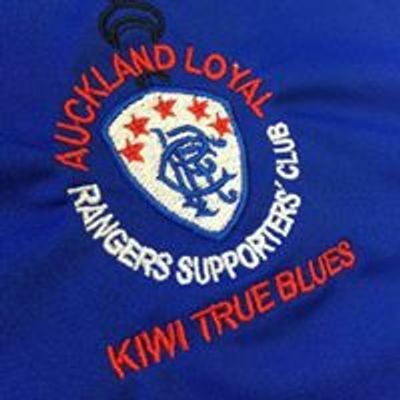 The match kicks off at Thursday 28 February, 2019, 845am NZDT, so buy yourself some breakfast and a drink or two and settle in to watch the Famous. 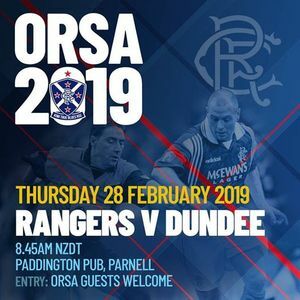 This match is open to ORSA 2019 ticket holders only. If you have questions about this event please fire them in the comments section below.